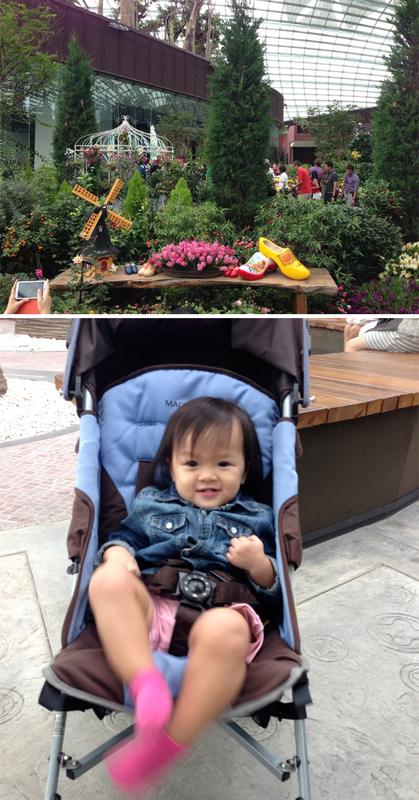 Last weekend we got our butts up early and headed to Gardens by The Bay for Tulipmania. It has already ended, but I still thought it would be nice to blog about it anyway..Afterall it's not everyday that you see tulips right + tulips are my favourite flower! Kaitlin being a girl..and checking out the clogs. 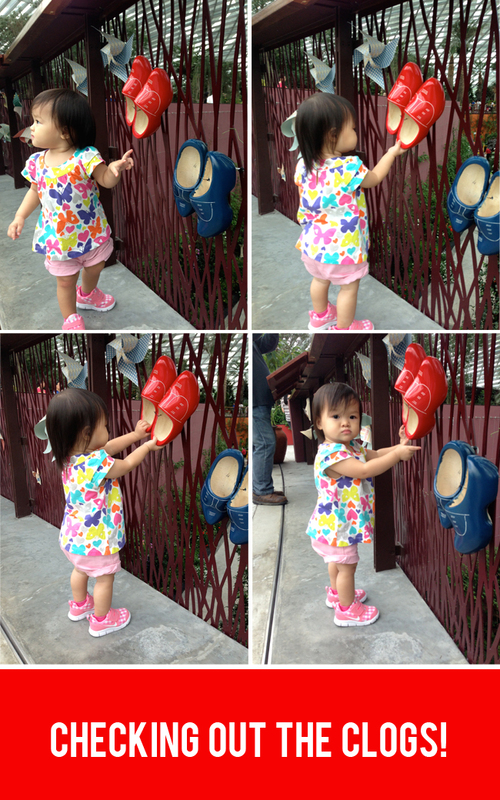 Won't be surprised if she is a shoe addict next time! Speaking of shoes...check out Kaitlin's new kicks! Love the Nike shoes, and I just had to get them when I saw it. Daddy Li and I agreed it was a great buy. As I mentioned before, Kaitlin is rather picky with her shoes, and usually would prefer wearing her older shoes cos it's more comfy, but once she saw this she loved it! Not exaggerating at all okay, cos she wanted to wear it once she saw it and was running around the house wearing it! Ok, enough digressing..we arrived around 11am and it was already quite packed but way lesser than in the afternoon. Thank goodness for being kiasu! Yes! 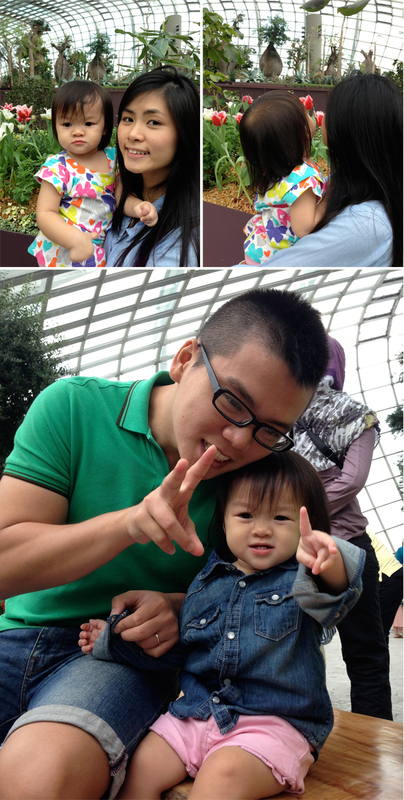 My little babygirl can do the peace/twist sign! How awesome is that?! Okay, I may be a little bias here..but I honestly don't know if toddlers at the age of 20 months old are supposed to be able to do it already, but I thought it was pretty cool! K wasn't really into the flowers, but more interested in roaming about. 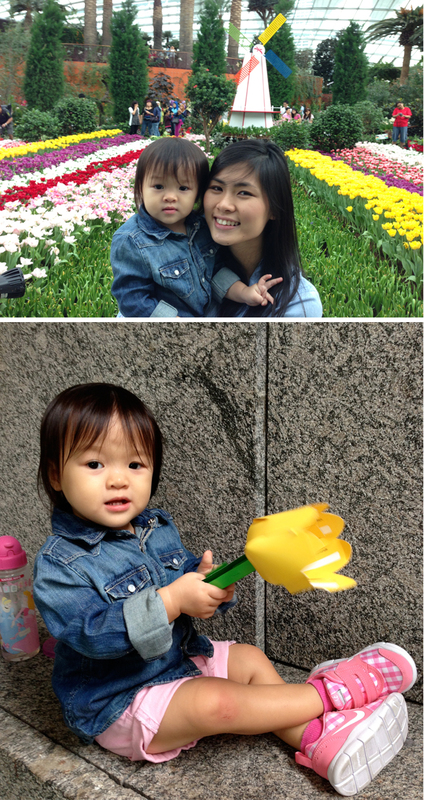 Even then, I still took the chance to try to carry her to look at the flowers and smell + touch some of them as well. I'm really hoping she will be more into outdoor learning in future, so we can learn the fun way instead of always burying our heads into them books. Yes our heads, cos really, when the kid studies, the mom studies as well! 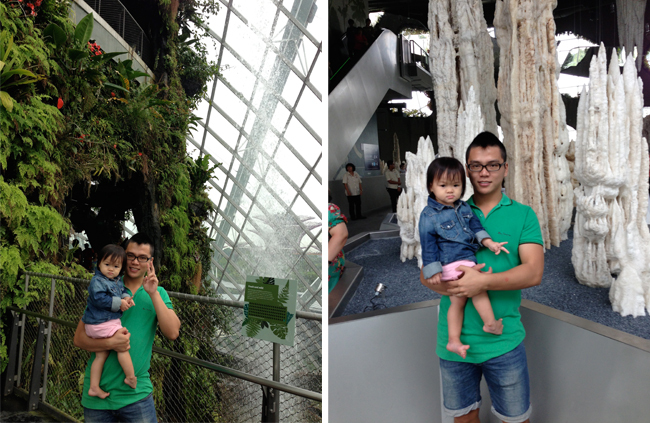 I've already thought up ideas of buying annual passes to Gardens By The Bay, S.E.A aquarium and the Zoo when she is like 4 years old and more willing to learn and all. So exciting I can't wait!! So pretty right! Seriously my photos don't do the flowers any justice..you should totally take a look at this guy's photos! We cut our visit short cos Kaitlin was starting to get a little restless which means she's tired. So we left, and decided to rest a while outside. Daddy Li folded the tulip for her..and of course..this girl got too excited about it and within seconds it got destroyed! Kaitlin napped and we went to have lunch at DTF, but it was so noisy that K woke up soon after. Nevermind then cos she could join us for some nom nom! That's her when she just woke up and hence was a tad grumpy! 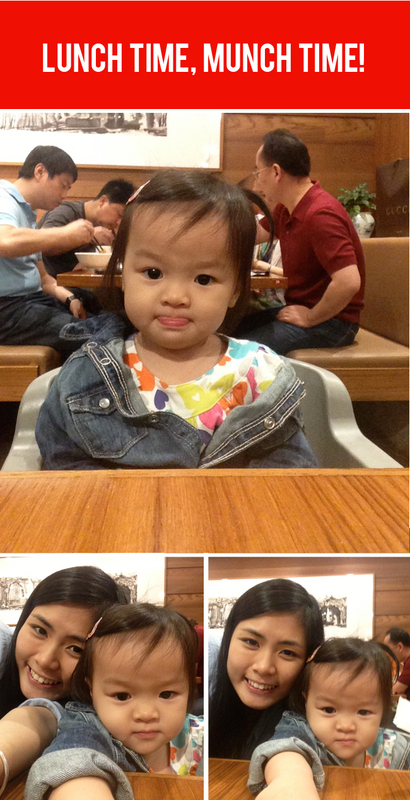 Didn't take pics of our lunch cos we were famished, and frankly I was busy handling Kaitlin. After lunch, I went to get some macarons from TWG. Was gonna take a pic of them, but K spotted them and wanted them..and then she promptly squished my macarons :( In any case, you have got the try the Vanilla Bourbon Tea and Kaya one! It's in such a pretty blue colour, and it tasted so so yummy. I need more of those!! 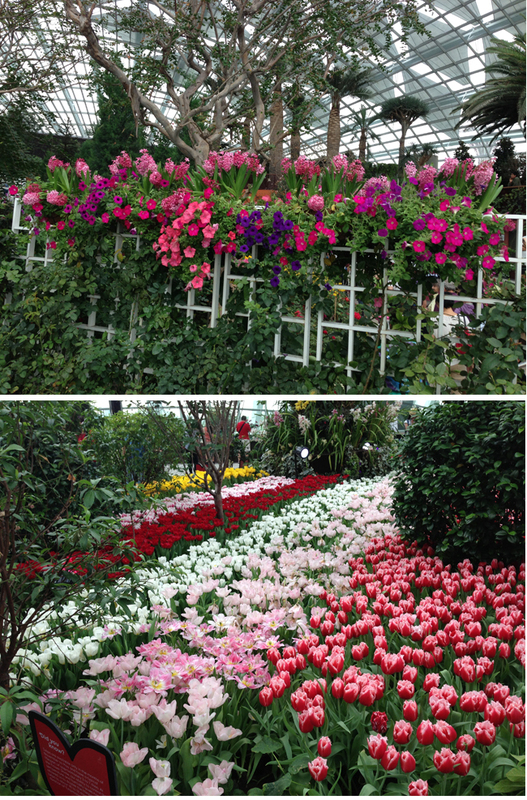 We went back to Gardens By The Bay after and re-entered the Flower Dome since we had not finish looking around, and just cos I wanted to see the tulips again! We went over to the Cloud Forest after, and oh my...it was super duper cold!!! The waterfall was quite wow. Of course it would have been way cooler to see a natural waterfall, but since we are in Singapore I guess we got to make do with this. 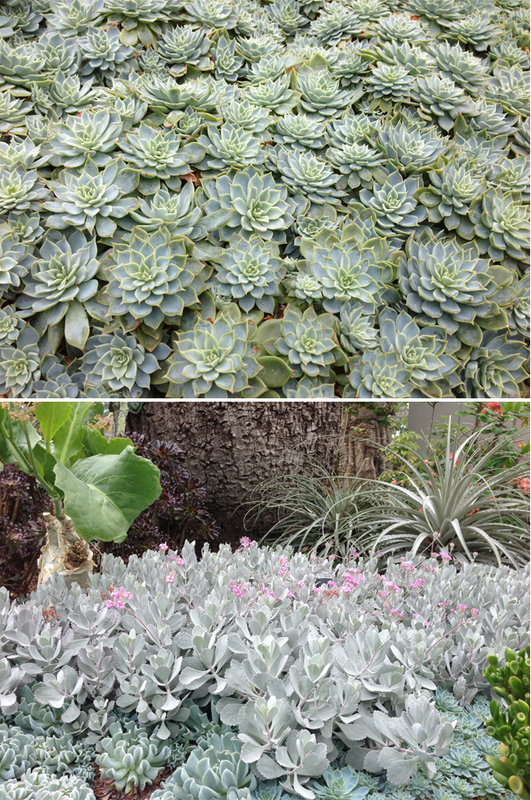 Not much pictures of the cloud forest. It's quite cool to walk all the way down from the top, but also quite scary at the same time since I've a fear of heights. Well, Kaitlin was not afraid at all! This girl was running around and dragged me to go back with her to the walkabout area where you can see everything below your feet. 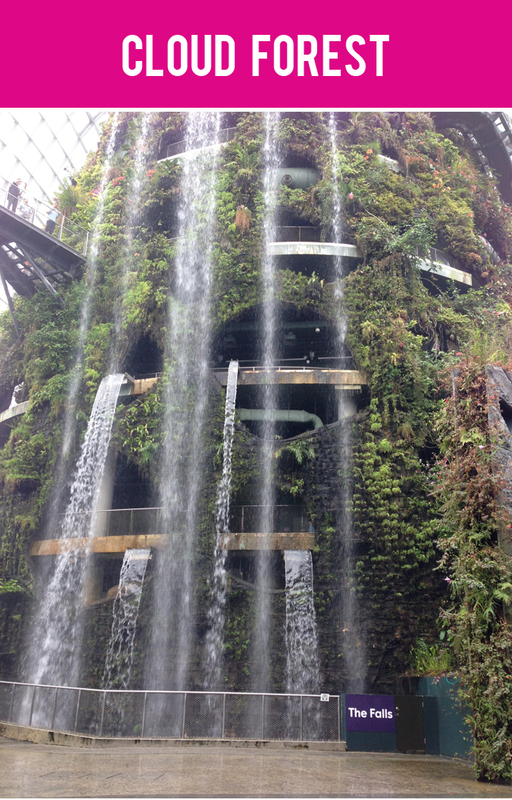 If I had to choose one to visit between the Flower Dome and Cloud Forest, it would be the former. I liked that the Flower Dome was more vibrant and mainly cos of the tulips on display! 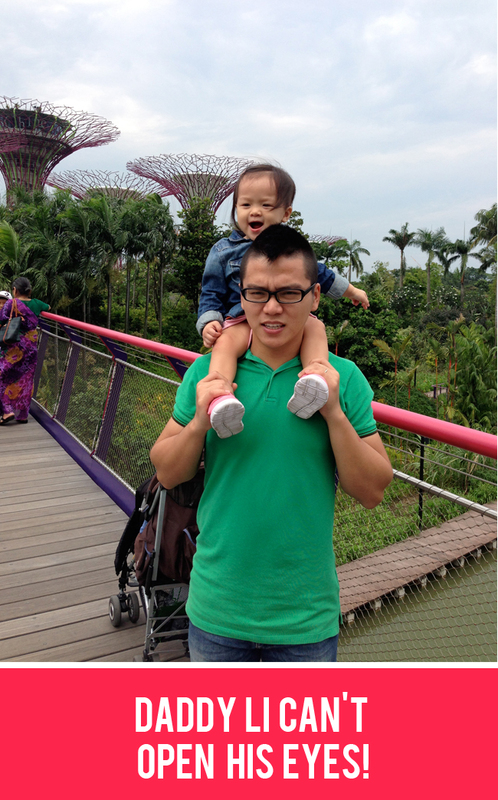 If you are thinking of heading down to Gardens By The Bay, I suggest that you head there early and avoid weekends if possible. We didn't have a choice cos we were only free on the weekends, but lucky we went in the morning so it was way less crowded than in the afternoon. Another tip is to book your tickets online. Super fuss-free and you can skip the queue which can get really long as we saw. Did you have to pay again when you re-entered the flower dome? Hi Mabel! Nope you don't have to pay again. Just get a chop on your hand when you are leaving then show it when you re-enter.